One of the world's most prolific serial killers... basically lives up to the hype. Lucille Ball had a long climb up (and down) before she made history when I love Lucy debuted in 1951, and we cover those struggles and successes in this episode. Mulan's story of her days as a Chinese warrior had simple beginnings and a whole lot of lasting power! The story of this powerful, 17th century African ruler was far from an ordinary Princess to Queen tale. Is there a better time to revisit our favorite Victorian More-Than-Likely Murderess, Lizzie Borden, than right now? We think not. We wrap up our short series of "women who ran for the US Presidency before Hillary Clinton" with Shirley Chisholm! We continue our series of female Presidential candidates with Belva Lockwood, the woman who many regard as the first “legitimate” female nominee for the office., with groundbreaking campaigns in 1884 and 1888. The second half of Marie's life was spent without Pierre but focused on a mission to apply science to help all humanity even while non-science drama swirled about her. A lot of people only know Marie Curie as a woman who won a Nobel prize (or two...spoilers) but that's just a small part of the life of this physicist, wife and mother. Agrippina the Younger lived a dramatic and dangerous life as the sister of an emperor, the wife and niece of another, and mother of a third in ancient Rome. We cannot get enough Beatrix Potter! Here is our coverage of the 2006 movie "Miss Potter," starring Renee Zellweger in the title role. Though she's chiefly known for her charming illustrations, Beatrix Potter was more than an artist and author; she was a scientist, conservationist, and a philanthropist who used her talent to better the world. Joan of Arc, Jeannette, Jean, The Maid, La Pucelle, Hero, Heretic, Visionary, Lunatic…that’s a lot of names and titles for a teenage girl who is remembered for events from only a short period of her life. The post Encore: The Wizard of OZ appeared first on The History Chicks. Carry Nation was on a mission to rid America of alcohol with her hatchet and a tart tongue. The post “The Music Show” #2 appeared first on The History Chicks. The post Episode 46 : Cleopatra appeared first on The History Chicks. Though her successors tried to erase her from history, we bring to light the first female Pharaoh of Egypt. The post Elizabethan Life (minicast) appeared first on The History Chicks. The post Episode 44: Queen Elizabeth I, Part 2 appeared first on The History Chicks. The post Episode 43: Elizabeth I, Part One appeared first on The History Chicks. The post News! appeared first on The History Chicks. A horrible accident set Frida Kahlo on the way to her status as an artistic icon. The post Episode 41: Bessie Coleman appeared first on The History Chicks. The post Episode 40 – Tudor Grandmothers (rebroadcast) appeared first on The History Chicks. The post Episode 39 – Amelia Earhart appeared first on The History Chicks. The post Bookcast – Jane Austen Book Club #3 appeared first on The History Chicks. The post Bookcast – Jane Austen Book Club #2 appeared first on The History Chicks. The post Bookcast: Jane Austen Book Club #1 appeared first on The History Chicks. The post Episode 38: Jane Austen appeared first on The History Chicks. We cover the stories of Judy Garland, Billie Burke, and Margaret Hamilton. We cover the background of this beloved movie and the colorful life of its author, Frank L. Baum. The post BONUS MATERIAL: The Declaration of Sentiments (1848) appeared first on The History Chicks. The post Episode 36: Elizabeth Cady Stanton appeared first on The History Chicks. The post Episode 35: Josephine Baker (Part 2) appeared first on The History Chicks. The post Episode 34 : Josephine Baker (part 1) appeared first on The History Chicks. The post Season 4 Introduction appeared first on The History Chicks. The Romanovs (Part 2) appeared first on The History Chicks. The Romanovs (Part 1) appeared first on The History Chicks. Lady Jane Grey appeared first on The History Chicks. Queen Mary I appeared first on The History Chicks. Julia Child appeared first on The History Chicks. The post Minicast: Beckett and Susan’s Adventures in Wonderland and What They Found There appeared first on The History Chicks. Alice in Wonderland appeared first on The History Chicks. Clara Bow appeared first on The History Chicks. Rosa Parks appeared first on The History Chicks. Born a slave, educated in a post-Civil War south and left to care for her family at an early age. She grew to become a teacher, a writer, a crusader, a suffragist, a wife and mother. The post Episode 24 – Last Four Wives of Henry VIII appeared first on The History Chicks. The post Minicast: Titanic Field Trip appeared first on The History Chicks. Margaret “Molly” Brown appeared first on The History Chicks. The post Minicast – Anne Boleyn appeared first on The History Chicks. Katherine of Aragon appeared first on The History Chicks. Tudor Grandmothers appeared first on The History Chicks. The post Minicast – Teeny Tiny Tudor Tutorial appeared first on The History Chicks. The post Season 3 Introduction appeared first on The History Chicks. The post The Music Show appeared first on The History Chicks. The post Minicast – Sophie Blanchard appeared first on The History Chicks. Nellie Bly appeared first on The History Chicks. 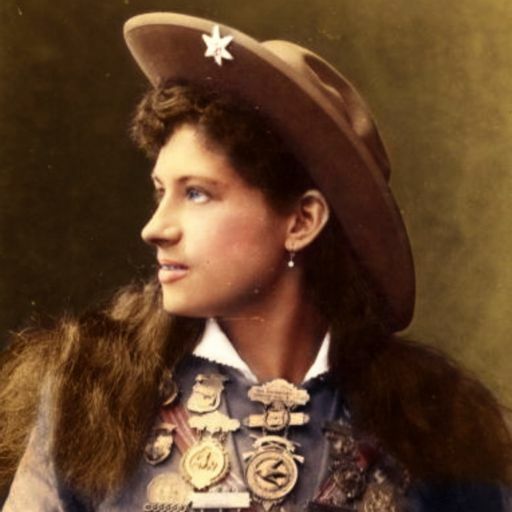 The post Minicast – Annie Chambers appeared first on The History Chicks. Madame de Pompadour appeared first on The History Chicks. Ella Fitzgerald appeared first on The History Chicks. The Duchess of Devonshire appeared first on The History Chicks. Mary Shelley appeared first on The History Chicks. Mary Wollstonecraft appeared first on The History Chicks. The post Minicast – Betty Crocker appeared first on The History Chicks. 1950′s Housewives appeared first on The History Chicks. Clara Barton appeared first on The History Chicks. Princess Charlotte appeared first on The History Chicks. Queen Victoria, Part 2 appeared first on The History Chicks. A quick introduction to Season Two! An audio postcard from Beckett's vacation in Kentucky. An audio postcard about colorful Victorian homes from Susan's vacation. We wrap up our very first season with some frequently asked questions. Before she was Winston's mother, Jennie Jerome Churchill was a New York heiress who married into the British aristocracy. Caroline Schermerhorn Astor was the absolute boss of New York society for many years. Do not cross her, or you will be left out in the cold. Helen Keller called her "Teacher" but we call her remarkable and accomplished! Writer, public speaker, friend, daughter, world traveler, and a woman who may have had physical disabilities, but was not disabled. Hello, Dolley: America's FIRST First Lady, networking hostess, and woman worth knowing! Was Abigail Adams a feminist? We discuss what we think. To call her a patriot, Second Lady, First Lady or mother of a president is just scratching the surface of Abigail Adams. The history and versions of the beloved story of a little girl in dire situation. We annotate the Little House book series. This is our first episode from 2011, there's a do-over for this doomed, yet fascinating and glamorous queen in episodes 53 and 54! 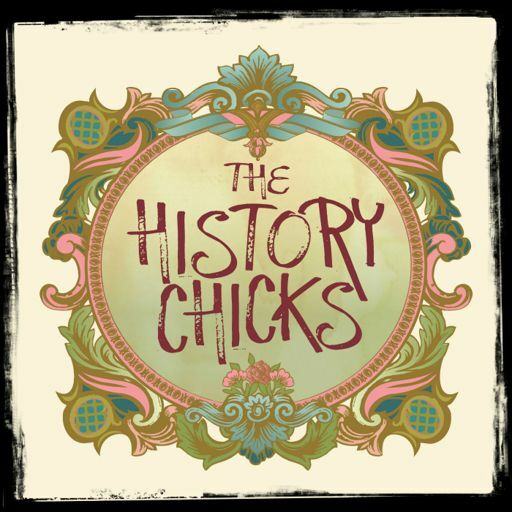 The post Introduction to The History Chicks (Audio) appeared first on The History Chicks.